The power circles in firm and extra firm Rago Shapewear garments contour curves into a perfectly rounded shape! They’re amazing at what they’re made for, giving Rago a great reputation for sculpting smooth and feminine bodies. Rago Shapewear stockist, American Shapewear, is sharing a 10% discount coupon to any purchase in their store as a promotion for these power circles. The powerful foundation garments at American Shapewear are on a sale! This time, they’re promoting their high waist shapewear. It cinches the waist while smoothing out hips, sculpting perfect curves. Get 10% off until July 30th. A review of a lingerie brand that was made particularly for trans women. The hip and thigh shapers from American Shapewear accentuate smooth hips while preventing any chafing! There’s a discount right now with a coupon code until July 14th. While many men wear bras because they enjoy wearing women’s lingerie, others wear it to support swelling breast tissue. The Breast Life has advice for finding a bra that suits your needs. These shapewear recommendations look amazing! 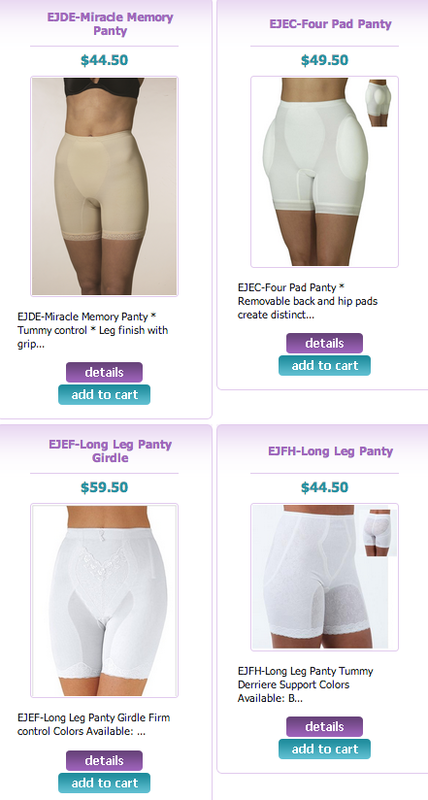 Rago Shapewear really should be on this list, though. Their products are strong and functional like these, but with designs that have much more feminine appeal. Where’s all the lace? At American Shapewear. Few things are as flattering to a figure as retro lingerie, built to enhance the most feminine curves. If you’ve ever avoided shapewear and stockings because of any of these 5 inconveniences addressed by The Nylon Swish, you will be happy to see her easy solutions! Loving her recommendations.